After entering into the foam industry more than 30 years ago, with more than half of that time spent manufacturing and providing high quality bedding materials, The Foam Factory has plenty of experience helping people get a good night’s sleep. We’re aware that the sleeping experience is unique for every individual, and what may be the perfect mattress for one person could be the last thing another would ever want to sleep on. In addition to that, we know that comfort preferences change as our bodies age over the course of our lives. What we slept on at 20 may not be what we need at 50. And just as we change, and age, our mattresses do the same. No matter how much you pay or what materials are used, a mattress will never last forever while providing a quality sleeping experience. 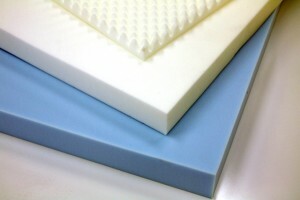 However, many people overlook their mattresses as something that will eventually wear out. This is unfortunate, because a worn-out mattress or one that isn’t right for you can have a major impact on your life, during both your sleeping and waking hours. Having the right mattress, on the other hand, can make a huge difference, from giving you more energy to waking up free of discomfort. For some people who have never experienced a mattress that’s right for their body, they may think tossing and turning is just the way things are. Perhaps you’ve been debating whether you should invest in a new mattress but aren’t sure if it’s what you need. Maybe you’ve never considered the impact of a new mattress on your life. Whether you fall under any of these categories or have your own set of sleeping issues or questions, we here at The Foam Factory have created a series of suggestions to help you decide if it’s time to get a new mattress and the best sleep of your life. Do you wake up in the same bed you did during college, or even worse, the one you grew up with? Were you the recipient of a mattress, given to you by parents, relatives or friends after they invested in their own new bed? Do you have to break out a calculator to figure out when you purchased your current mattress? If you answered “Yes” to any of these questions, consider buying a new bed. You should be looking to replace your mattress approximately every seven years. This may seem like overkill, since an old mattress may look and feel fine despite its advancing years. But for perspective, imagine seeing someone every day for 10 years. More than likely, you aren’t going to notice as a wrinkle or gray hair appears. Now imagine running into that same person after not seeing them for 10 years. Their changes since your last point of reference would be dramatic; you may not even recognize them! A mattress works similarly. You sleep on it every day and may not notice as it loses a sliver of comfort and support every few weeks. But imagine you bought two identical mattresses, slept on one every day for a decade and never used the other. The second you climbed into the unused bed after spending 10 years in the other, you would immediately notice the wear the daily-use mattress went though. Mattresses are going to wear out, and there is no way around it. Some mattresses will hold up very well over their lifetime and can even extend up to the 10 year mark based on their quality, the user, and his or her sleeping patterns. On the flip side, a mattress may fail in as little as four or five. But even mattresses that remain structurally sound can become a breeding ground for dust mites and other organisms that survive and accumulate in mattresses. Even in a comfortable and supportive mattress, their presence can be an irritant that keeps you awake or prevents you from getting your best sleep. Because of that, 10 years is generally regarded as the ceiling for a mattress’ life, given the deterioration factors that add up over the years. Be they innersprings, water or airbeds, latex or memory foam or fiber-stuffed pads, all bedding materials will eventually wear out. Clothes wear out, cars wear out and we’ve all seen furniture like couches or futons wear out. Now you know beds wear out too, so be sure to replace yours like you would any other product past its prime.